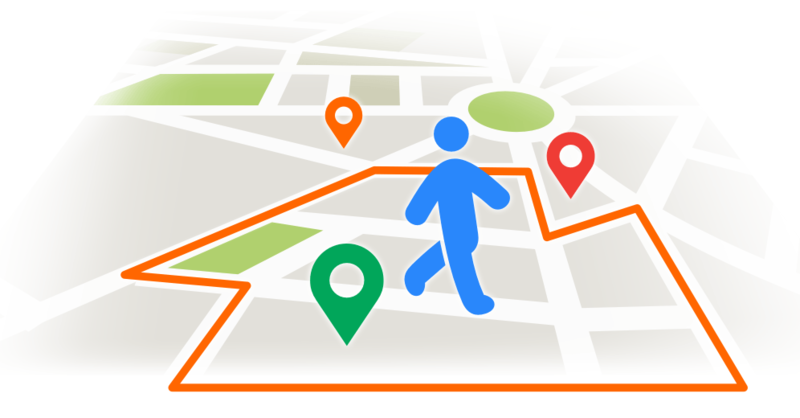 Geofencing is a powerful app tool that sends automated notifications to your customers that are in specific geographical areas. Define geographical areas where notifications will be sent out automatically to your app users. Automated notifications can be sent upon entering, during the stay of the user, or when the user exits the designated area. 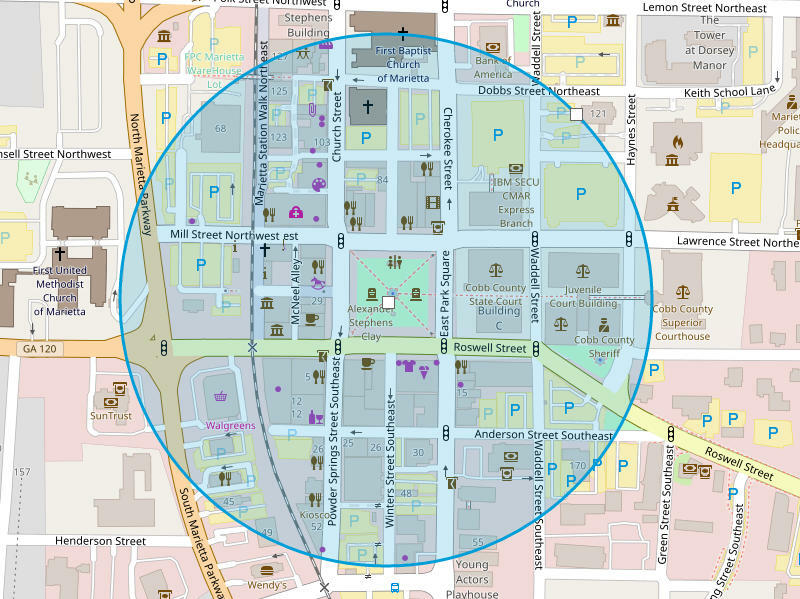 In the example below, a geofence area has been created around Marietta Square. A custom message can be sent to app users that enter and depart the area.